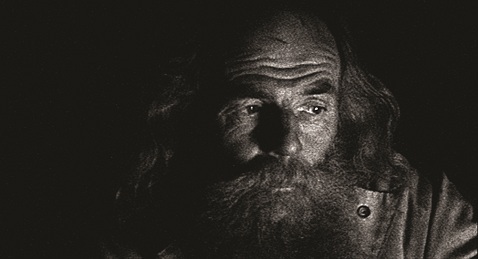 In Two Years At Sea director Ben Rivers renews his relationship with Jake Williams, a man living in a decrepit house in the Scottish Highlands who had served as the subject of his earlier short film, This Is My Land (2006). 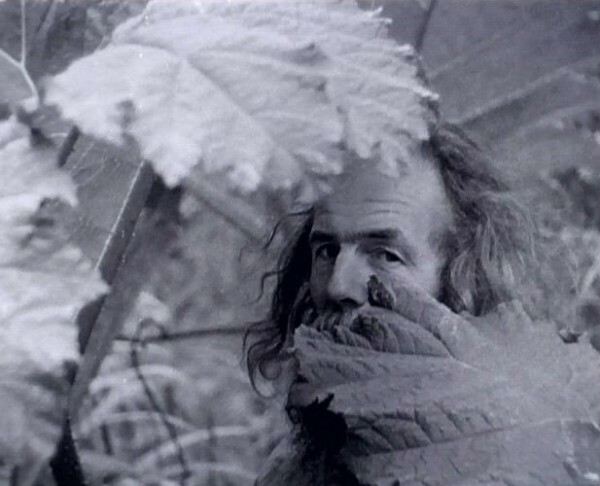 Situated squarely within what seems to be the perfect environment for his sensibility and temperament, Jake goes about his daily routine across the four seasons in the near-complete absence of any human ties, with Rivers’s camera functioning as the lone connection between him and the world beyond his self-imposed isolation. A man lives in the middle of the forest. He goes for walks in whatever the weather, and takes naps in the misty fields and woods. He builds a raft to spend time sitting in a loch. Drives a beat-up jeep to pick up wood supplies. He is seen in all seasons, surviving frugally, passing the time with strange projects, living the radical dream he had as a younger man, a dream he spent two years working at sea to realise. This is a remarkably lyrical, sublimely economical wonder, both thoughtful and melancholic. 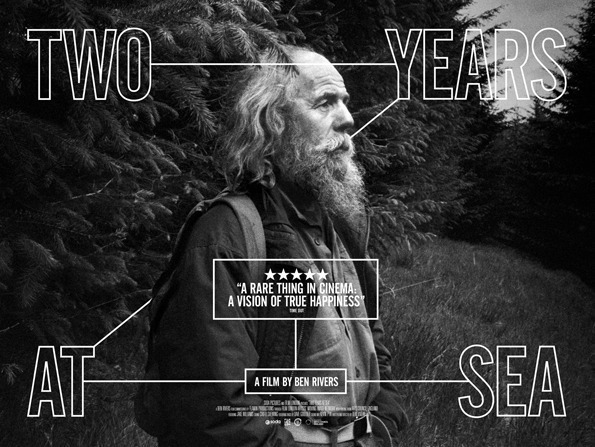 There’s little in the way of dialogue, yet it remains a profoundly moving, if plain odd documentary of a man with a tremendous sense of purpose, living frugally, poised somewhere between a bygone age and some post-apocalyptic future. It’s handmade cinema par excellence, made on a shoestring with a lean, spare aesthetic, a mysterious, and quietly haunting film. Since Rivers started making Two Years At Sea, a new term has found purchase in film circles: “slow cinema” – meaning the type of contemplative, observational movie where image (and soundtrack) takes precedence over conventional narrative. Bracketed into this category are international auteurs such as Béla Tarr and Apichatpong Weerasethakul, possibly with Tarkovsky and Antonioni the movement’s spiritual forefathers. The term fits Rivers’ work like a glove. At times, Two Years At Sea almost slows to the stillness of a photograph, with just a tiny amount of motion in a static image to let you know time is passing – some socks blowing on a washing line, or a cloud drifting across a woodland landscape. Next Next post: Silent Sunday Story 7.